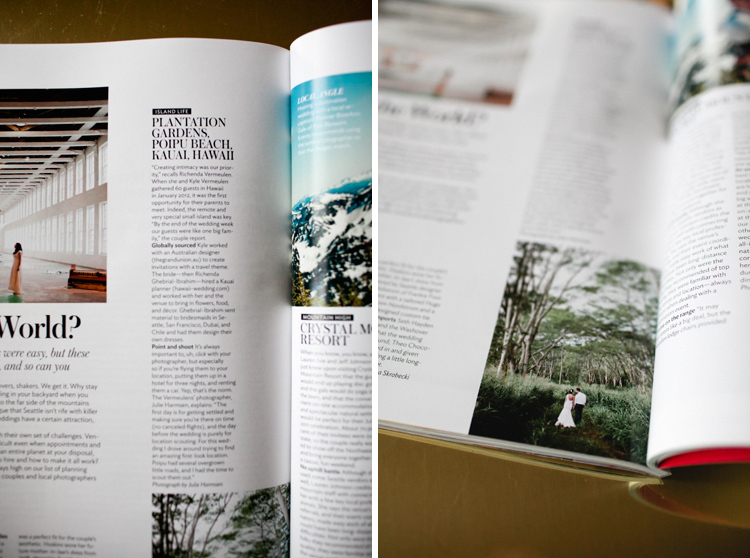 A photo from Kyle and Richenda’s Plantation Garden’s Kauai wedding is published in the latest winter/spring issue of Seattle Met Bride & Groom magazine! They shared their experience planning a destination wedding and I offered some advice about how I approach destination weddings. It’s a very beautiful issue and I’m so proud of several other friends who are featured. You can see another recent wedding at Plantation Gardens here.